Having a conversation with someone with a decayed tooth is always an awkward experience. Not just because of the person’s tooth decay but because you just can’t stop looking at the bad teeth. Passing up on sugary foods like your favorite cookies, soft drinks and snacks is always a hard thing to do but these and some other food groups only assist in the decay of your teeth. There are certain foods however that help prevents tooth decay due to certain minerals they possess or assisting the body’s processes to fight off tooth decay. Here are six foods that are healthy for your teeth and help prevent tooth decay. This is a typical advice you can get from any good Kennesaw dentist. if you’re looking for expert dental care check out West Cobb Dentistry. Milk and milk products such as cheese and yogurt have a high level of calcium which helps the teeth to remineralize. The calcium and phosphorus found in milk and milk products especially are known to protect the enamel of the teeth, which is the hard outer-covering which is broken down when the tooth decay process starts. Frozen and sugary milk products should, however, be eliminated or minimized as these can still damage the teeth. Firm and crunchy fruits like apples, apples, and peaches have high water content to the sugars in them. This helps stimulate saliva production which then minimizes the number of bacteria in the mouth to cause tooth decay. Saliva also washes away food particles which are left deposited on the teeth. Food particles do not always have to be removed by people in Kennesaw dental practice offices when you can get it for free by sticking to this. Green vegetables like spinach and broccoli have a high calcium content which like milk and milk products help in the remineralization of the teeth. They protect the enamel by reinforcing it to prevent tooth decay. High fiber foods like raisins, whole grain cereal, dried dates and beans also stimulate saliva production. The saliva washes most of the decay-causing bacteria away and creates a defense against them to prevent them from acting on the teeth and acts as buffers (neutralizing agents) for acids. Whole grains have a high iron content which is known to strengthen the gum as well as a high level of fiber for saliva stimulation. They also contain magnesium which is also an important micronutrient for the teeth. Whole grains are therefore some of the most important foods that can help the teeth’s remineralization and protection. You don’t always have to visit a Kennesaw dental office every time when you can prevent oral problems with this food. Last but not least is water. Nature’s single most important component (arguably so). Water helps remove food particles that are retained on the teeth after eating. It also washes away bacteria that can cause tooth decay and minimize bacteria populations in the mouth. Water also dilutes acids and washes sugars that can act on the teeth and cause tooth decay. Instead of taking in sugary drinks whenever you’re thirsty, try a bottle of water. It is good for every aspect of your overall health. 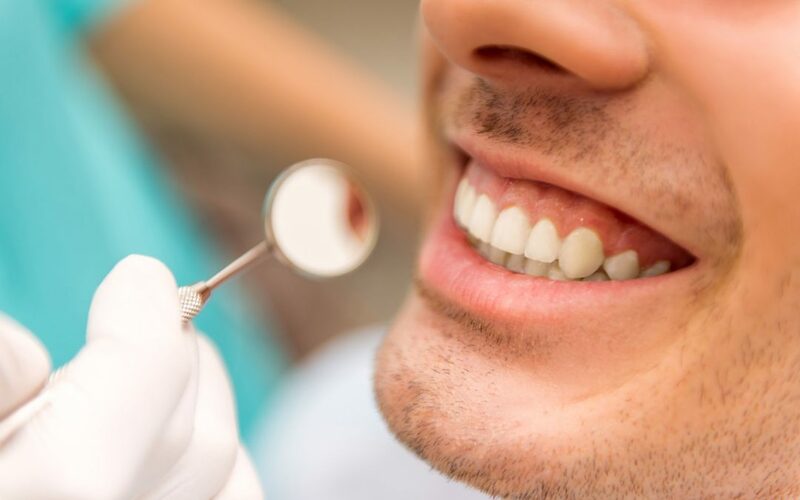 Not even the best dentists from the most renowned dentist office Kennesaw has ever seen can take care of your teeth better than water does. Oral health is as important as the overall health and you need to take care of your teeth to prevent decay and other oral problems by sticking to healthy lifestyle practices and eating healthy. A good dental clinic in Kennesaw can help you with all oral hygiene and dental needs.